I have written a set of general instructions for making your very own coif (or caul) in this style. I wrote them after having made my own version of this headwear (see pictures below), following verbal instructions from Mistress Mathilde Adycote. The instructions can be downloaded from here: How to make your own 16th century decorative female coif (pdf). Back view of Ceara’s coif. 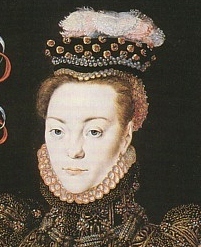 This style of headwear can be seen in 16th century portraits across many European countries. There are many different styles evident in portraits (see the portraits below) and I have run several classes on making a generic version of it. This class has been run at the Canton of Okewaite and at Rowany Festival, with many people asking for a copy of the instructions from me privately. It has been my most popular class in terms of interest and number of particpants. This is a versatile type of headwear because it can be worn for many different styles of garb, and either on its own or with another hat. My hat was made of black and white linen and was decorated with silver braid, black pearls and small metal flowers (also silver). This headwear can be worn on its own (Ceara at Rowany Yule 2011). Here, Ceara is wearing it with an Italian outfit. Since making these instructions, I have heard some advice from Mistress Contarina Cassagrande. If you are to sew a strip of velvet on the inside of the band of the coif, with the pile direction facing towards the back of your head, it will act as a non-slip base (and, therefore, the coif will be less likely to move around). 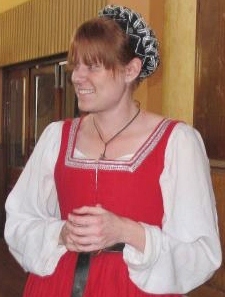 This headwear can be worn under wide brim hats (Ceara at Twelfth Night 2011). Here, Ceara is wearing it under a Spanish wide-brimmed hat. This image was cropped from the full, digitised image, as published online at Tudor and Elizabethan Portraits. This site has many portraits listed, demonstrating several different types of 16th century headwear. This image of a Lady Wentworth shows would could be a decorated coif under her hat (in orange/pink). 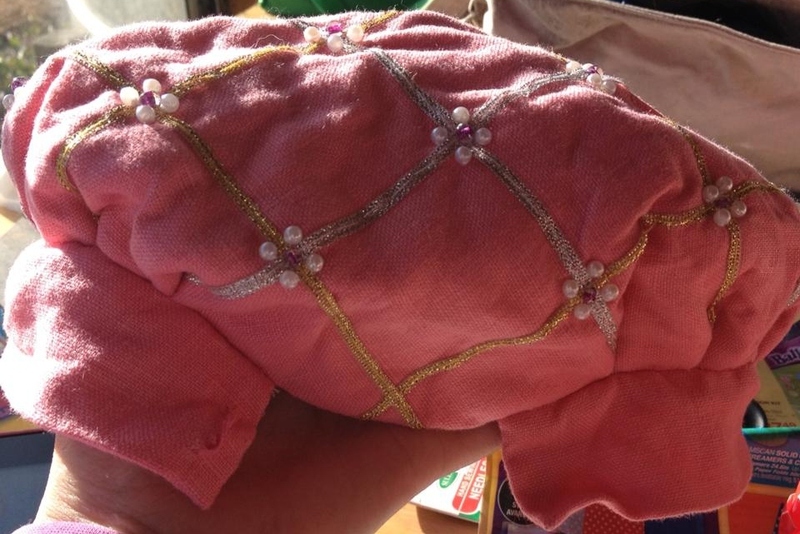 It also shows decoration, possibly including metallic braid. 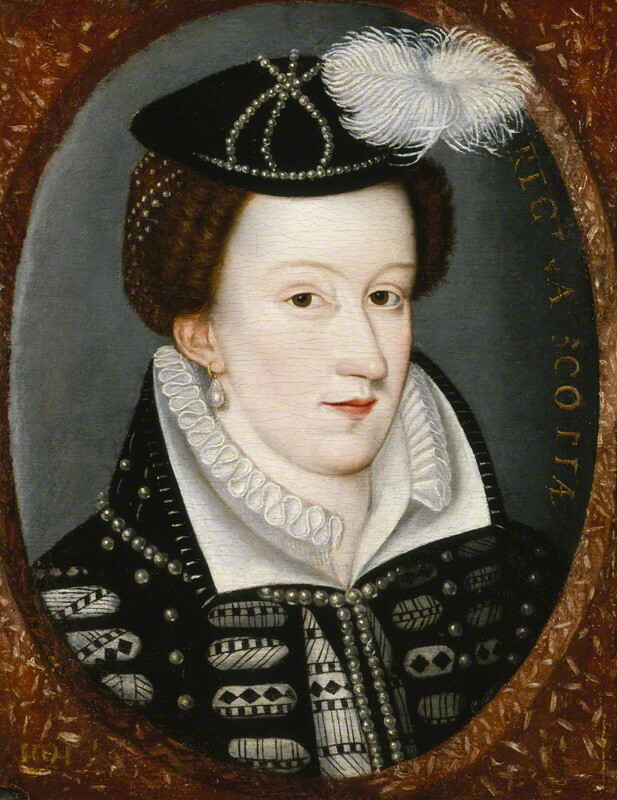 This portrait of Mary Queen of Scots is available online from the National Portrait Gallery of London. It is possible that the decoration seen on the back of Mary’s head in this portrait is an example of one of these coifs, keeping in note that it is difficult to tell from the quality of the picture. This portrait by Lucas Cranach is of three young ladies. The two on the right are wearing decorated coifs under their large, feathered hats. These ‘coifs’ are also known as goldhaube caps. The main way they vary from the generic patten I decribe in my class is that it would be more voluminous a hat, and more oval than round in shape. 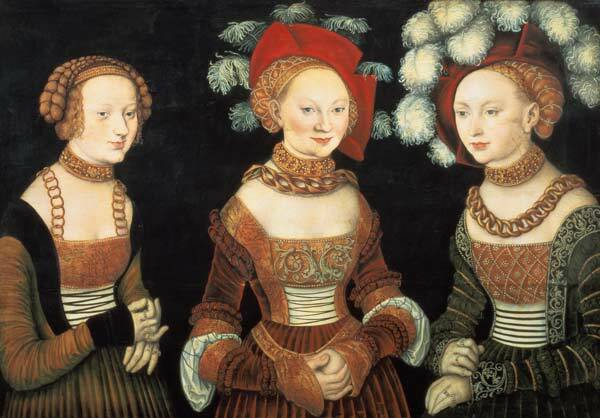 Three princesses of Saxony, Sibylla (1515-92), Emilia (1516-91) and Sidonia (1518-75), daughters of, oil on panel by Lucas Cranach d. Ä (c.1535). Vienna, Kunsthistorisches Museum. 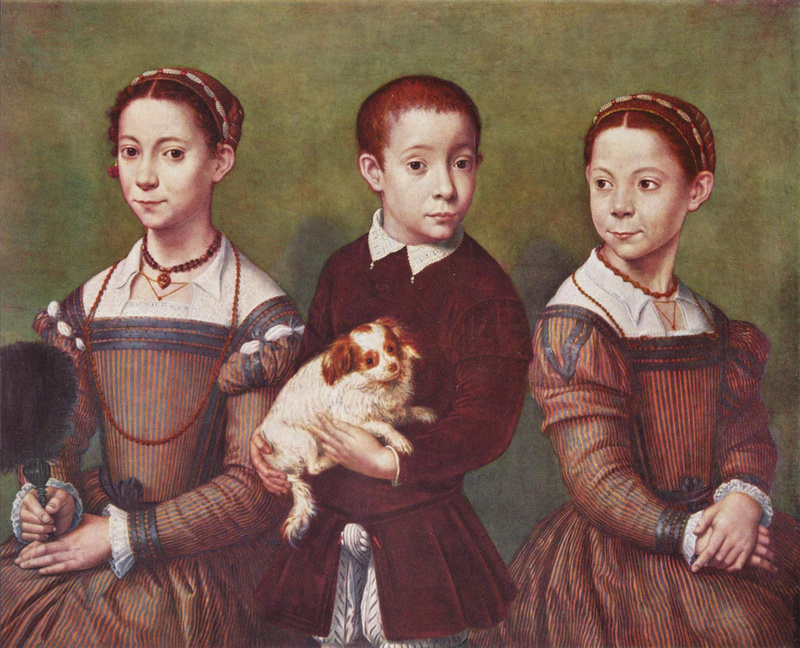 This portrait of three children was painted in the 16th century by Italian female artist Sofonisba Anguissola. The image of this portrait, along with others by this artist, are available online at the Art Renewal Centre. The two girls are wearing what appears to be a version of the decorated coif. 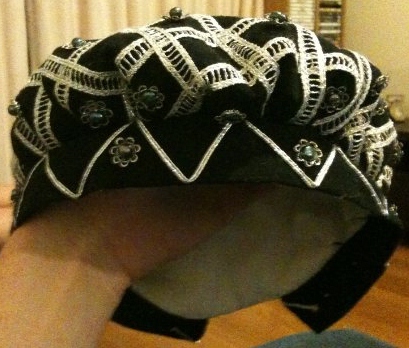 For more examples of this, and other, Elizabethan headgear – see: Broider me ‘Bethan. For more examples of this, and other, 16th century headgear – see: It’s About Time: 1500s Fashion – Unusual Pets. For more examples of this, and other, 16th century headgear – see: Австрийские Габсбурги. Фердинанд I и его дочери. (Russian site, translated to English as: Austrian Habsburgs. Ferdinand I and his daughter). 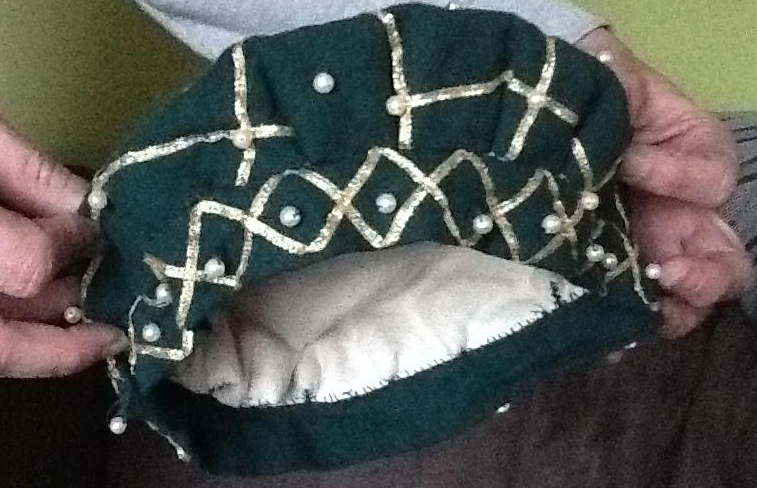 To view a blog exploring how to make a goldhaube cap (German) – see: The German Renaissance of Genoveva. 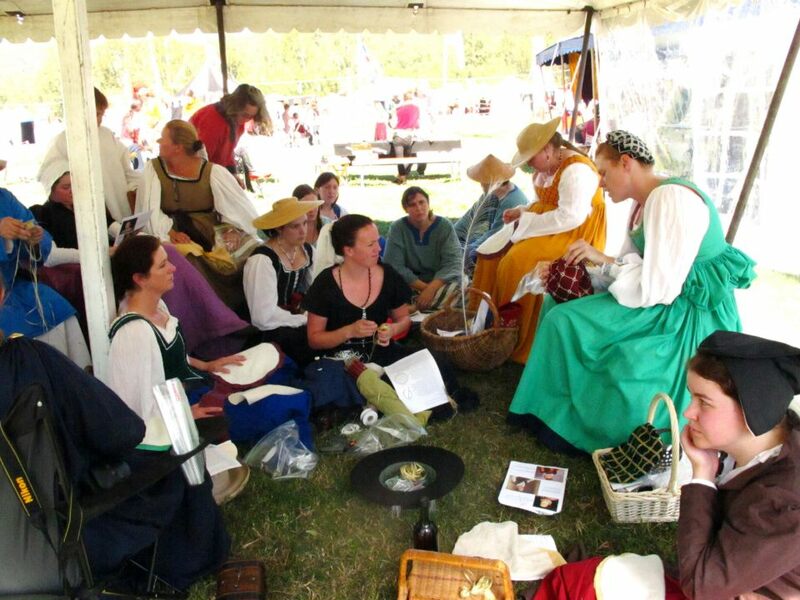 Ceara ran this coif-making class at Festival 2012. Helena Eskilsson’s headwear worn under a German hat, made from Ceara’s Rowan Festival 2012 class. 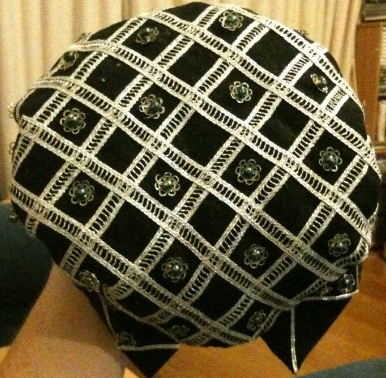 Side view of Helena Eskilsson’s headwear, made from Ceara’s Rowan Festival 2012 class. 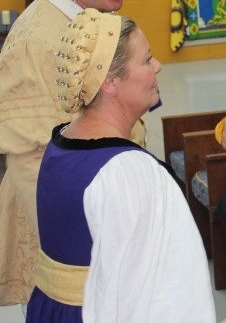 Elizabeth Rowe wearing her coif she made following the instructions from the Festival class. 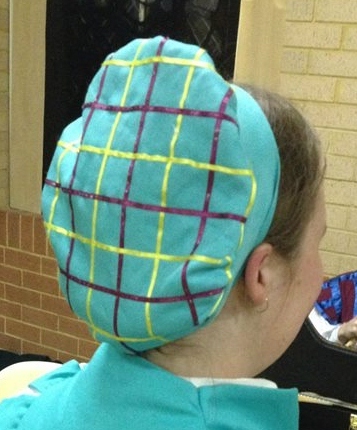 Back view of Elizabeth Rowe’s coif, made from the instructions provided at Festival. Front view of headwear made by Lady Alys Dietsch from Ceara’s Okewaite class. 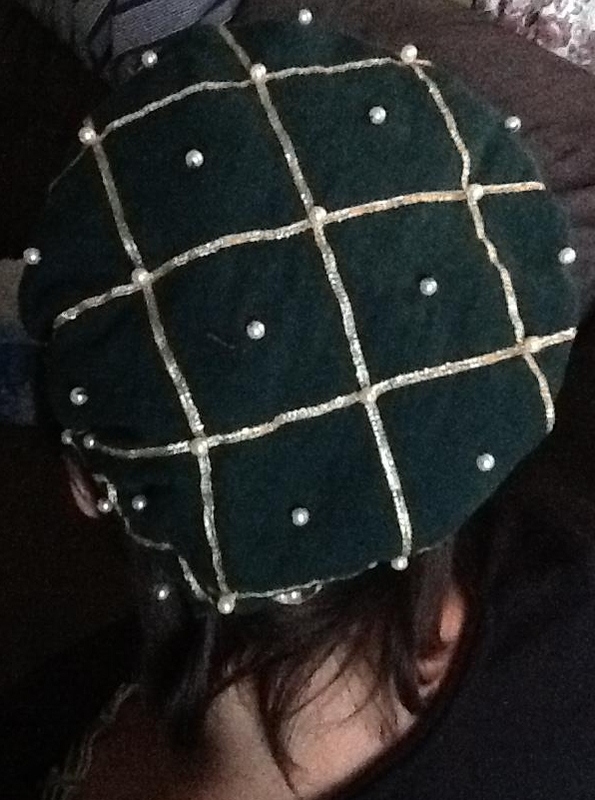 Back view of headwear made by Lady Alys Dietsch from Ceara’s Okewaite class. Headwear made by Bella Rose from Ceara’s Okewaite class. 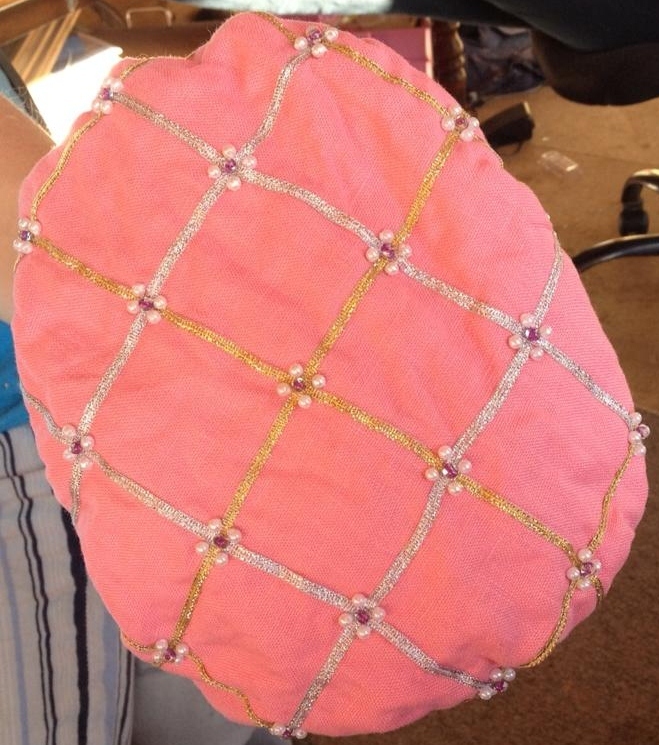 Back of headwear made by Bella Rose from Ceara’s Okewaite class. This dosn’t say HOW to make it and that’s what I searched on google HOW to make a coif. The .pdf (link at the end of the first paragraph) has the instructions on how to make one on the second of the two pages.